Following the implementation of an oil management program in November 2016, Polypipe Civils are already realising notable and significant improvement to their hydraulic system reliability, in particular valve functionality and maintenance spend reduction. This has contributed to improved production rates at their Horncastle facility, where the “Polystorm” Geocellular Water Attenuation cells are manufactured. The tailored oil management program commenced with oil analysis sampling via Rockson LubriTek’s independent UKAS accredited laboratory. With the results obtained, a detailed brief of required remedial work was planned to solve performance issues and bring the hydraulic oil quality back in line with stringent machine manufacturers’ recommendations, predominantly Engel, at the facility. Oil analysis also identified the potential root cause of historical valve functionality issues being due to oxidisation of the hydraulic oil over time. This in turn led to varnishing of the valve spool and bodies, causing sticking to occur and incorrect operation of proportional valves. Rockson LubriTek advised use of their VRT UltraClean (Varnish Removal Treatment) additive, which is a solvent-free system cleaner specifically formulated for removal of varnish and sludge within hydraulic systems. Coupled with on-site technical services, a systematic process was initiated to carry out a VRT UltraClean program, prioritising those worst affected with either varnish or high ISO cleanliness levels. By working closely with Polypipe Civils Engineering Department, Rockson LubriTek maintained a regular oil analysis regime and monitored rates of change within other machines, Rockson LubriTek have improved the historical performance of the hydraulic systems. An introduction of a Polypipe Civils dedicated web portal has also been set up, allowing oil analysis to become not only a way of monitoring injection moulding machine hydraulic oil, but to allow it to become part of the Total Preventative Maintenance program onsite. This method of data logging allows an improved communication flow between the two companies, along with accurate and accessible records essential for ongoing review and trend analysis. 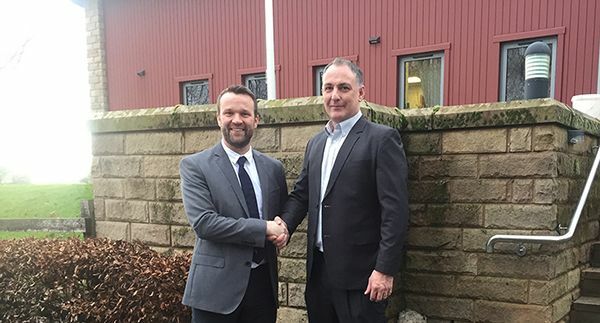 To complement the oil management program worked on and ensure future hydraulic related issues are kept to a minimum, Polypipe Civils and Rockson LubriTek have signed a 3-year service level agreement for regular oil analysis and scheduled filtration. This will ensure machine manufacturers’ ISO cleanliness levels are maintained and the injection moulding machines on site at Polypipe Civils sustain maximum efficiency. “Oil is often viewed as a commodity product and overlooked in its importance, so when embarking on an ambitious Polypipe initiative of “Back to Standard”, oil care and management was extremely high on my priority list. Having oil analysed is a function most companies undertake but the ability to interpret the result, determine a trend and then make sensible and sound recommendations is what sets Rockson LubriTek apart from others.